The ninja must eliminate distractions and heighten his senses. He does this to enhance his awareness and sense of danger. To heighten your senses means to make them more sensitive. The consequence of heighten senses is more information, which can make you distracted. Your goal is to notice whatever you sense, without assessing them. Trust your intuition to do it automatically for you. Now, down to the specifics. Condition yourself to notice things (not assess) that are suspicious to the eyes and ears. Spend 10 to 15 minutes daily to sit down and close your eyes. Notice the sounds in your surroundings, and mentally identify the source of the noise. This exercise is meant to make your ears sensitive to unusual sounds that you cannot identify the source of. Make it a habit to be aware of what is at the sides of your vision. While looking at the sides of your vision, maintain vision of what is in front of you. The sides of your vision is adept at catching sudden movements. This allows to detect immediate threats from your left or right. Do not be so distracted with looking at the sides, without noticing what is happening in front of you! Once this becomes a habit, you’ll use your peripheral vision without even thinking. While moving about, keep your ears open to detect presence behind you. 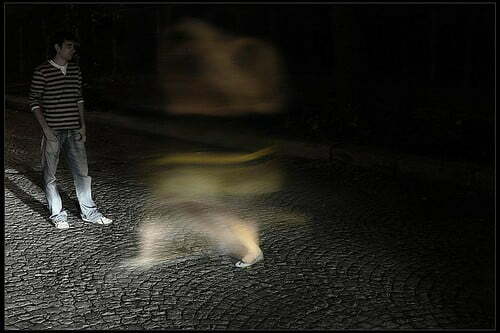 It is useful when you are walking alone at night. Make it a habit to occasionally glance at the shadows or reflections of a mirror/glass door. They can expose someone’s presence. Someone’s presence can be revealed by the wind. If someone is stalking you silently, and there comes a breeze blowing behind you, it will be blocked by that person. That is how you can detect the person’s presence. Remember again, if you make the above 4 into habits, you will be able to notice things subconsciously. That is the key. You want to notice things without thinking about noticing things. Let me clarify what I mean by distraction. Distraction comes in the form of thoughts and emotions. When you are bored, you have self-entertaining thoughts. When you are nervous, your thoughts seem to whirl by. And to be honest, it is impossible to eliminate this type of distraction completely. I’m not telling you to be emotionless! Ninja are human beings too and have every right to having emotions. Instead, I’m suggesting that a ninja should keep the mind calm and relaxed. Here’s an analogy. Imagine two buckets of water. One bucket’s water is completely still. While the other is constantly shaken, so that the water keeps rippling. If I throw a rock into each bucket, which bucket of water will indicate that there was a disturbance of its water surface by the rock? Of course the bucket of still water. You will be able to see the ripples caused by the rock easily than the bucket of moving water. The mind is the same. To be aware of your surroundings, the mind must be like the calm waters so that you can easily see any ripples that occur. When the mind is calm, one is able to process information faster. Let’s bring the how-to back to the concept of intuition. Intuition is subconscious; you don’t have to think about it, to detect suspicious things. The aim of the above how-to is to make your awareness and sense of danger subconscious. You have to constantly do the above to make them into habits. And remember, habits are subconscious acts.